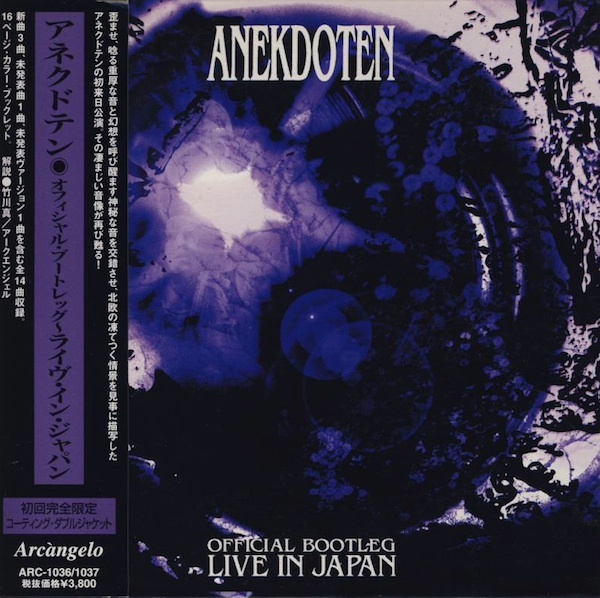 Recorded over two nights of the band's recent trip to Japan, this double-CD live set captures perfectly the confident and relentlessly energetic live sound Anekdoten has developed. The set includes most of the songs from Vemod and Nucleus, plus four impressive new tracks. "Tabatah," perhaps the best of them, features 9 and a half minutes of the band's most dark and zeuhl-ishly intense work to date, while the smooth, rolling "Road to Nowhere" lays down an entrancing groove as a backdrop for a nimble guitar solo. The overall sound quality of these discs is superb. The well-balanced mix reveals very strong and clean performances all around, and highlights both the expressive vocals and amazing drumming that make these tracks stand out over their already solid studio versions. While the thundering bass lines, angular guitar work, and euphoric Mellotron textures are all here in abundance, it's the unparalleled percussion work, with its dexterous fills and nuanced flourishes, that contributes more than anything else to the sophistication and power of the music captured on these discs. Altogether a tight, organic, and thoroughly enjoyable set from what has clearly become a fantastic live band.